EasyDNA is probably the most international DNA testing company currently on the market. Since its inception in 2006, it has managed to create a network of over 25 offices all around the world. 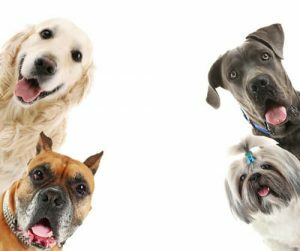 This EasyDNA Animal review will focus on our furry friends, examining the company’s offer of DNA tests for dogs. EasyDNA has conducted more than 300,000 DNA tests since it was launched, maintaining an optimal level of service and user experience at all times. Its staff features highly trained scientists on one side and very forthcoming and knowledgeable user support staff on the other. For any additional questions, you can always contact them via phone, email or live chat. Keep reading to learn more about the company’s animal branch and its services. Reading the final results – These can have various turnaround times, depending on the difficulty of the test and other factors. The electronic version of the final report is free, but you can also receive a written version, which will include packing surcharge and postal fees. 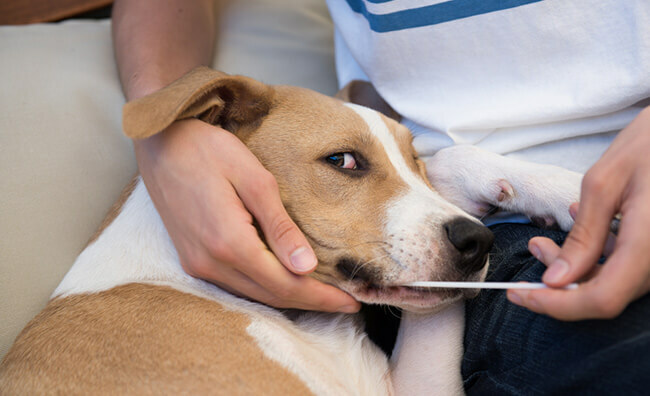 Make sure that your dog hasn’t eaten anything before the mouth swab. The presence of food can potentially contaminate the sample, which may result in a failed DNA test. If you decide to dry the swabs in a glass, always put the cotton side up and never mix the swabs of different dogs. You also shouldn’t touch the cotton part to inspect whether it’s completely dry or not. About an hour should give it just enough time to dry, after which you can put it in the envelope and send it back for processing. Be sure to match the colors of the swabs and the envelopes. Opting for EasyDNA dog testing has numerous advantages that’ll make the overall experience of learning more about your animal friends much more enjoyable and fulfilling. Partnerships with reputable clinics and other relevant institutions all over the world. Dog DNA Testing Without The Mother (306.00$) – This is the most expensive test due to the fact that it’s the most complex and demanding one. It establishes the parentage of your dog/litter in a definitive manner, guaranteeing 99.99% accuracy. The mother’s DNA is very important for dog DNA testing even if you’re 100% sure who she is. It aids the testers greatly in identifying the sire, making the procedure much more difficult when working without it. This is the first scientific manner of establishing pedigree without the mother present. The results are usually generated after 10 business days. DNA My Dog Breed Test (79.00$) – This test provides data on the genetic makeup of your dog. It explores its full breed composition, providing information about your dog’s personality, unique traits, and potential diseases. The results will offer a full breakdown of its genetic composition, a detailed guide to personality traits, behaviors you can expect, and optimal exercise routines. The final report is generated within 2-3 weeks. This test will determine the effects of the most common environmental and food allergens on the overall health and well-being of your dog. The list incorporates more than 100 allergens that are potentially making your dog’s life miserable. The results are usually generated in 2 weeks and they also contain useful guidelines regarding optimal nutrition and supplementation for your animal friend. Dog Parentage Test (198.00$) – The purpose of this test is to establish the true parentage of your dog in a definitive manner. The results provide a certified pedigree and eliminate any doubt of multiple sires for your litter. The price includes testing the samples of the sire, dam, and one offspring. There’s an additional cost if you want to test more than one sire or offspring. The results are generated within 10 business days. Dog Inherent Disease & Trait Test (75.00$) – The genetic composition of your dog dictates which diseases are likely to occur and this test offers a reliable way of establishing genetic susceptibility to certain conditions. EasyDNA tests for 9 genetic diseases total. The price for additional tests on the same dog is 39$. The usual turnaround time is 7 days. Dog Poop DNA Testing (price on request) – This test is more focused on irresponsible owners who keep on allowing their dogs to defecate in public without cleaning it up. You can easily identify the perpetrator by sending the collected dog poop for analysis in the EasyDNA lab. Apart from dog DNA testing, EasyDNA also offers Avian DNA Sexing (80.00$), EquineDNA Profiling (65.00$), Horse Parentage Testing (198.99$), and Feline PKD Testing (60.00$). 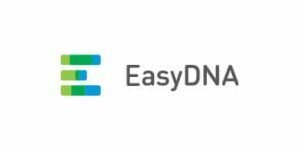 EasyDNA uses 128-bit SSL encryption for all interactions with its website. You can inspect the encryption certificate on its order page. The company values the privacy of its customers and does not store information about your credit card. This, however, prevents it from processing any additional payments. If some extra expenses arise, you’ll have to go through the ordering process again. The final results of your dog DNA test are also strictly confidential and the company will never share them with any third parties. The sample will be destroyed as soon as the results are generated. If you so choose, you can pay a small additional fee for prolonged sample storage. The company can keep the specimen in its archives for up to 6 months. The dog DNA test kit you’ll receive once you place your order will be placed inside an unmarked box without any company logos or other markings. You test kit will be shipped within 24 hours of the initial order. Depending on your geographical location, it should arrive within 2 work days or so. The overall price of the test will be affected by your chosen delivery option. You can opt for standard or express delivery, as well as for first-class mail in case of an emergency. In case you need several test kits shipped to different locations, EasyDNA can do that for you. It can also send them to different countries, so it doesn’t really matter where the test subjects are. You can pay for your test of choice with credit cards and PayPal or through a bank transfer and money order/bank draft. EasyDNA is one of the best options for dog DNA testing currently available. 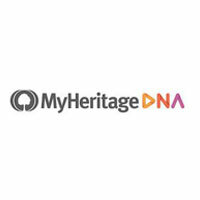 It is also the most widespread DNA testing company. This means that you can perform as many tests as you want without having to worry about logistics and geographic positioning. It provides country-specific iterations of the original website alongside customer support in your native language, so you can get properly informed about the specifics relevant to your region. All in all, EasyDNA may just be the ideal company for uncovering all the secrets locked in the DNA of your 4-legged friends. Our ratings are the result of an objective and independent evaluation of EasyDNA Animal, generating the final rating that reflects the overall quality of the company. Ratings may change as the service changes. EasyDNA Animal user rating based on 5 user reviews. We have a 1 year old American Staffordshire Terrier named Connor who has had rashes and breakouts and swelling around his paws since he was about 4 months old. Since this all started I have tried the elimination diet to see what was causing him to have such a bad allergic reaction but to no avail. Thought he was allergic to grass, or even dust mites, so after researching allergy tests, easyDNA seemed perfect because it fit our price range and wouldn't require anything like the vet would recommend (steroids, or shaving part of his hair off so they can test spots on his skin, etc). About a week after purchasing the kit it arrived and we swabbed Connor's mouth, sent the test back, and three weeks later received the results that not only is he allergic to peas, halibut, and tuna, but he tested negative for grass allergens and dust mites (thank God!) This test is changing Connor's life for the better, because wouldn't you know it, peas is the fifth ingredient in his dog food. I'm more than thankful for this allergy test that easyDNA offered, if your dog is suffering with allergies get the test! Best money I ever spent on him and I'm just grateful his allergens are something we can control without the use of drugs from the vet. Thank you easyDNA! A really neat way of getting a bulletproof breed certificate for an entire litter. I had some questions regarding the parentage test and the user support talked to me in German language and resolved all my doubts. I only wish the test without the mother was a bit cheaper. The kit arrived in 2 days, the results were also super fast and they pretty much confirmed my initial thoughts. We found 0 verified EasyDNA Animal discounts for April, 2019.